All commercial flights across New Zealand have been grounded due to a radar fault which affected the country’s entire airspace. It took the national Air Traffic Control agency almost two hours to fix the problem and clear flights for take-off. New Zealand airways has confirmed that it has fixed a radar problem that briefly prevented all flights from departing the country. According to Airways New Zealand, which monitors the country’s airspace, an internal network failure occurred at approximately 2:41pm local time, forcing the Civil Aviation authority to “immediately” suspend all flights while the issue was investigated. Operations were resumed as of 16:30 local time. While flights were grounded across the country, the already-airborne flights were allowed to land routinely, Radio New Zealand reported. According to the statement issued by the Minister of Transport and the Civil Aviation Authority, during the brief malfunction kept contact with the incoming flights via radio. During the delay, Auckland Airport was forced to ground three planes at the international terminal and seven at the domestic branch. 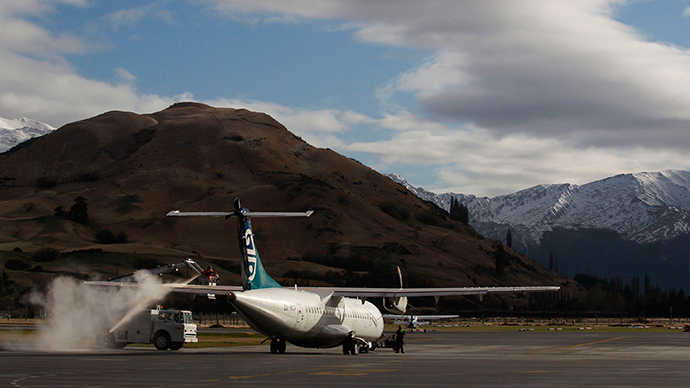 Christchurch Airport also experienced delays.